Lance McKeown is a man who pushes his limits. At 66, he will soon participate in his 7th Pelotonia Bike Tour to raise funds for the Ohio State University Comprehensive Cancer Center – Arthur G. James Cancer Hospital and Richard J. Solove Research Institute. The Tour is on August 3-5, 2018. Lance is the IS Manager at TS Tech in Columbus, Ohio and our friend and colleague. 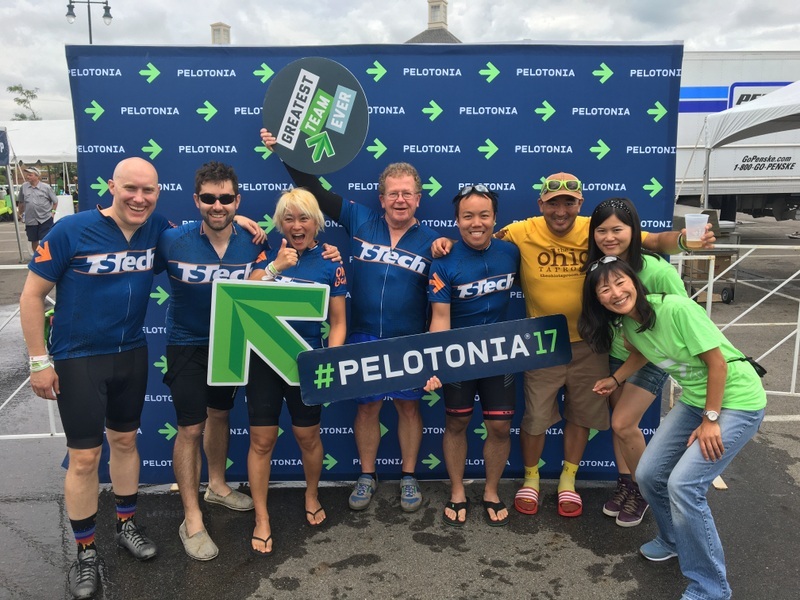 This year, Lance has committed to being a Pelotonia High Roller and is challenging himself to raise $5000 and complete the 200-mile bike tour. We hope you’ll be inspired to help him achieve his goal. He particularly remembers some touching moments from last year’s Pelotonia challenge. About 40 miles into the second day of the ride, at a rest stop, a girl of about 10 or 11 years old asked him if she could fill his water bottles. She efficiently filled all his bottles, put them back on his bike and moved on to the next rider while Lance grabbed some snacks. He was impressed that his young girl would give up her weekend to fill up water bottles for him and his fellow pelotons. Other moments like the high school band and cheerleaders heralding them in Granville, OH, and the residents of that town baking cupcakes, brownies, and pastries for the 3-4 thousand Pelotonia participants who come through their town are awe-inspiring. Or, when, 2 hours from the finish line, alone on the bikeway and in the middle of nowhere, Lance heard a voice thanking him and offering encouragement. He looked around to see a man, woman, and young girl waving and ringing bells. Then, finding that his sister who has cancer, was able, with the help of a friend, to attend the race to greet him at the finish line. We hope you will help Lance achieve his goals this year by donating. Visit http://pelotonia.org/lance and click on “Donate To My Ride.” You can find out more about Pelotonia and the Ohio State University Comprehensive Cancer Center – Arthur G. James Cancer Hospital and Richard J. Solove Research Institute—at this site as well.